Lite statistik angående leveranstider med GLS. 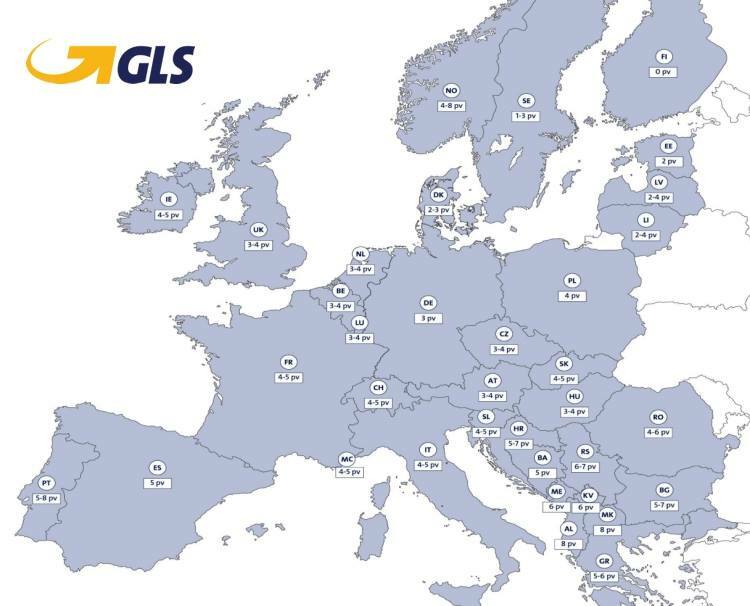 We wanted to know how our estimated GLS shipping times match to reality. 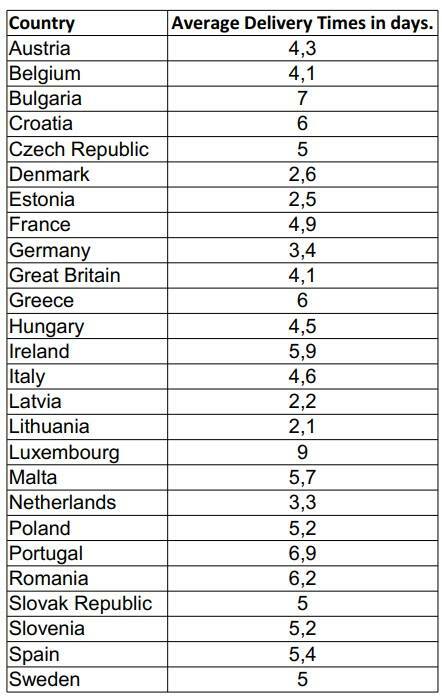 So, we have kept some statistics about shipments inside EU during this spring. Approx. 700 parcels are included and here are the results. There are some areas where the estimate is quite optimistic but we are doing our best to make sure that, everything we can do about faster shipping times is done. Please note that shipping time is calculated in working days (Monday to Friday) and excluding the day when parcel is shipped. And here you can see estimated delivery times from GLS. If you have any questions about shipping inside or outside of EU, please do not hesitate to contact us via email.